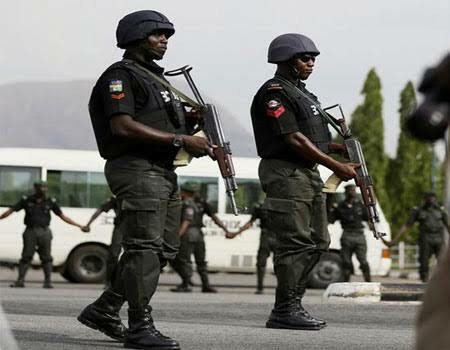 A group of alleged hired assassins invaded the residence of The state party chairman (APC) Enugu State Chapter, Dr. Ben Nwoye on Sunday. According to news report the Hired assassins shot and severely injured a police identified as The Sergeant, Gerald Eke orderly attached to Dr Nwoye. The incident was said to have occurred between 1am - 3am. The state chairman said the assassins switched of the public light before they started shooting. The Sergeant, Gerald Eke, who was shot by the assassins was rushed to National Orthopaedic Hospital. Nwoye said: “I heard some banging on the main gate and thought it was some of my aides that came late. The banging persisted for about 10 minutes or more, and the gate was eventually opened. I heard footsteps and thought they belonged to my workers. “A few minutes later, the public light went off. So, I called my driver to turn on the generator, but he didn’t pick. So, I called the senior police officer, Inspector Charles Ugwu. He went down and few minutes after, I started hearing gunshots. That was around 1 am. Then a few minutes later, I started hearing screams from one of my police officers, Gerald Eke, that he had been hit, that they had killed him. I started calling the Commissioner of Police, and they responded and started to radio everywhere. I looked through the window and saw smoke and people moving out.